I'm not hearing much about the retraction, though. You can't unring a bell, and that's the point. 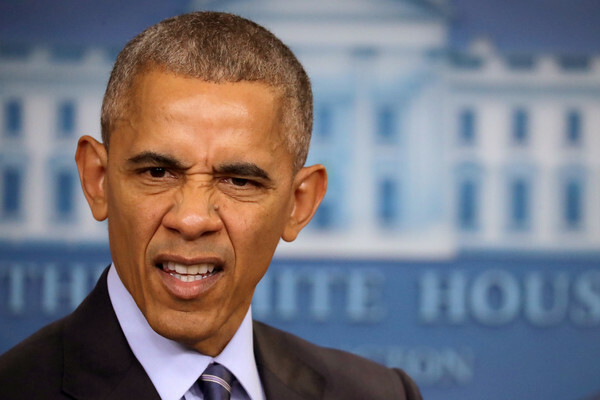 Obama is going to get his "hacking" report in two weeks...the one he asked his intelligence agencies to rush through knowing full well he planned to leave that landmine for Trump. So Media will be obediently "reporting" on his propaganda just before and even while Trump is being inaugurated. I hope Trump drops a nice big bombshell on that party. "I'm not hearing much about the retraction, though. You can't unring a bell, and that's the point." It's all a diversion anyway, an attempt to draw attention away from how the information got released and what it contains, with the added benefit it impugns PEOTUS Trump's victory. Interesting to see, however, how a propaganda campaign is conducted as the message is repeated ceaselessly from a plethora of sources, not just news outlets. n an exclusive interview with FOX News Channel's Sean Hannity the founder of WikiLeaks Julian Assange said Russia was not the source for the DNC and John Podesta hacks.